NEWS LIVE: This report contains news live as it develops and is being updated. Bookmark and refresh the page periodically for updates. 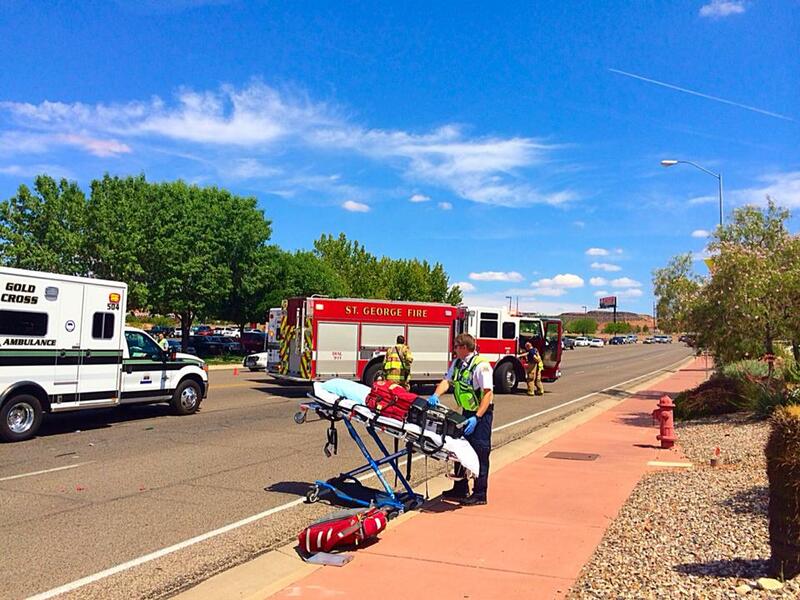 Last updated 1:35 p.m.
ST. GEORGE – A three-vehicle collision at the North Red Cliffs Drive and The Outlets at Zion intersection in St. George caused one vehicle to roll and resulted in heavy traffic delays and three people being transported to the hospital. 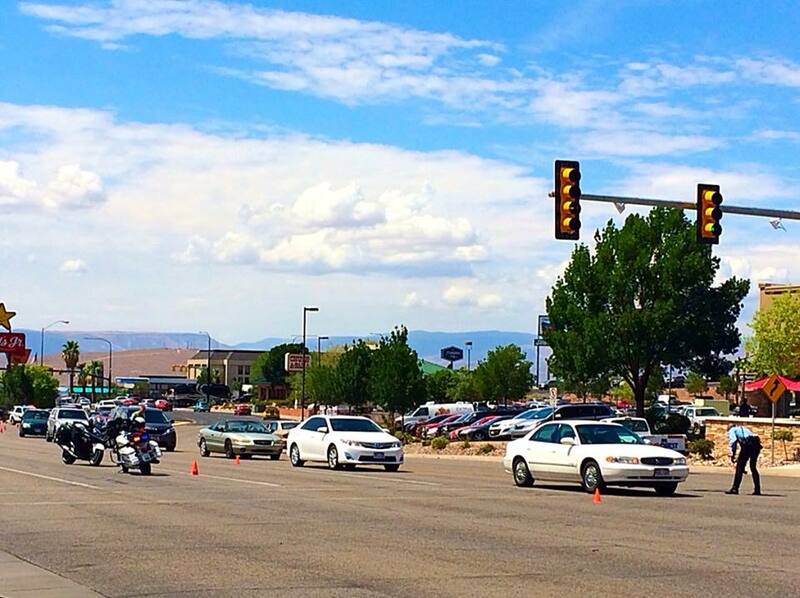 At approximately 11:24 a.m., a black Saturn SUV was traveling westbound and a Buick passenger car was traveling eastbound, St. George Police Officer Tyrell Bangerter said. 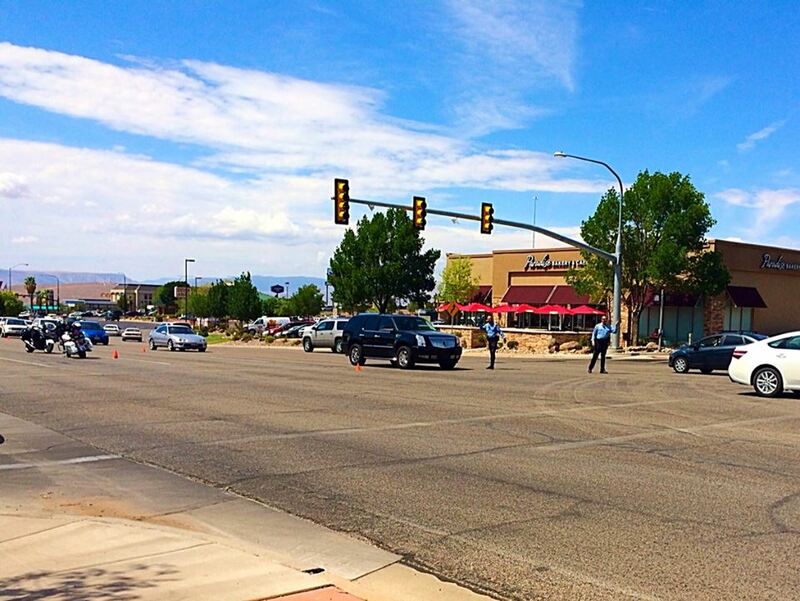 Both vehicles were making left-hand turns on a green light when a silver Toyota SUV traveling northbound on Red Cliffs Drive failed to stop at the red light. 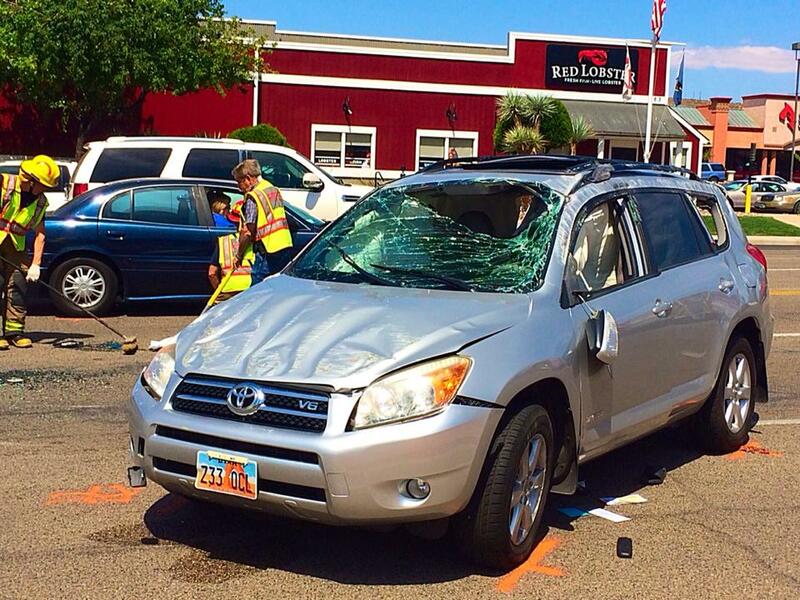 The single occupant of the silver SUV, a female driver, was transported to Dixie Regional Medical Center in St. George. 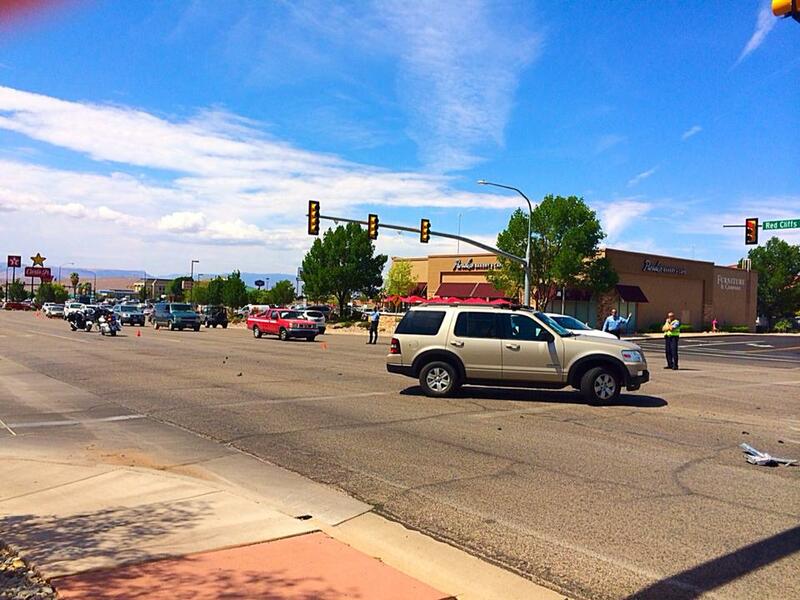 Two of the three occupants of the black SUV were also transported to Dixie Regional Medical Center, as a precaution, for minor injuries. Both northbound lanes were closed and traffic was diverted via one of the southbound lanes, bringing southbound traffic down to one lane and slowing the traffic flow. 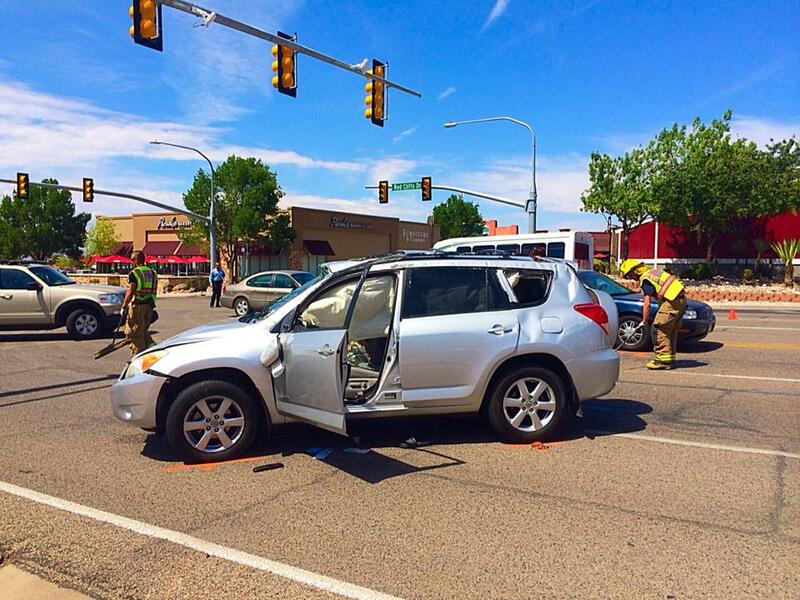 Both SUVs were towed, and the scene was cleared at approximately 12:10 p.m. 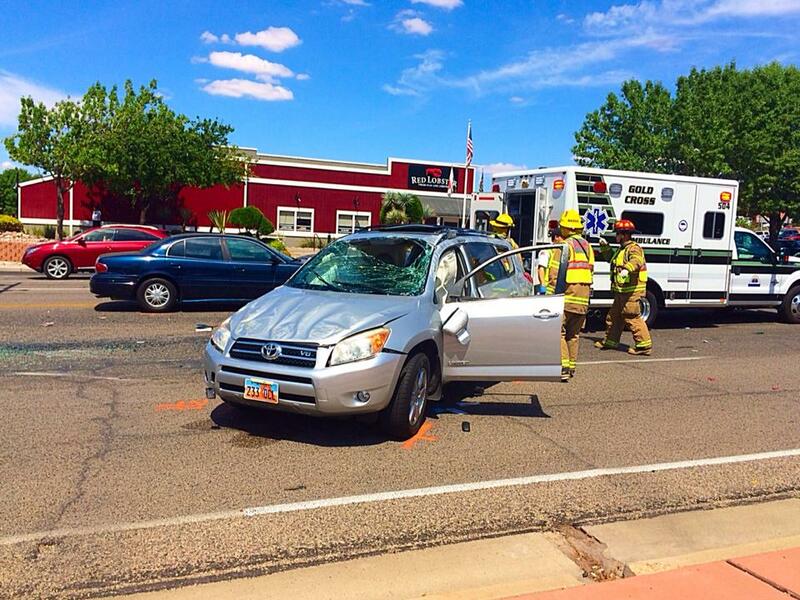 The case is still active and under investigation, Bangerter said, and no citations had been issued as this report is published. This report is based on preliminary information provided by law enforcement at the scene and may not contain the full scope of findings. 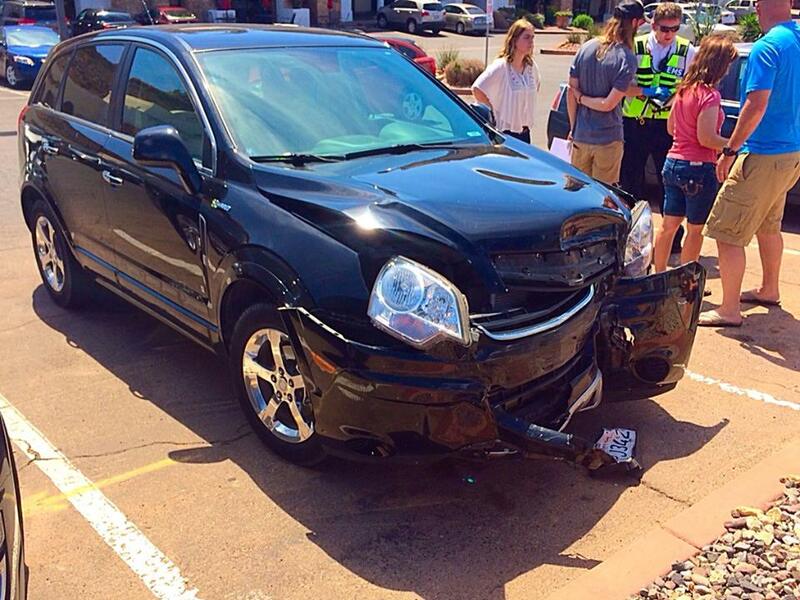 Run a red light cause an accident with injures, and not get a citation must be nice being married to a cop. 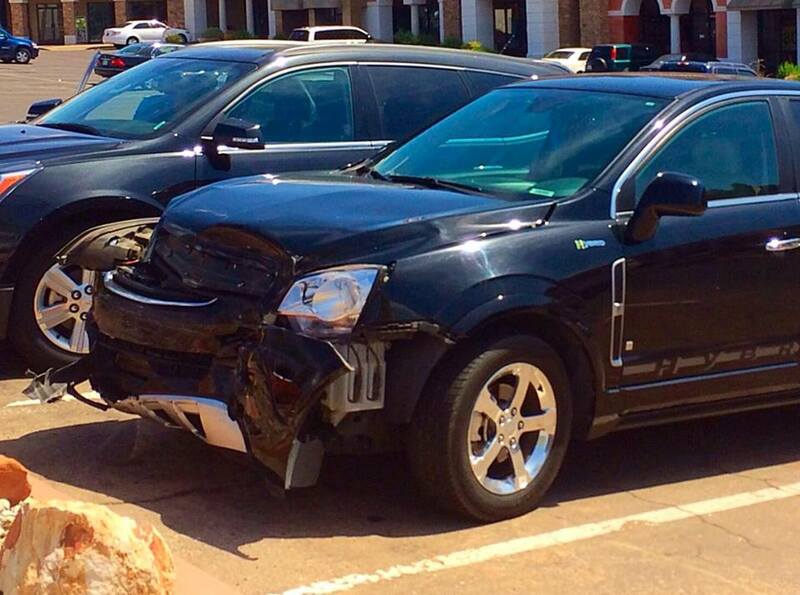 I would guess the Silver SUV ran the light at maybe 50mph? That’s the usual speed they pass me at along there! “The case is still active and under investigation, Bangerter said, and no citations had been issued as this report is published.” … perhaps the idiots commenting didn’t read the entire article. It does not say “citation(s) will not be issued.” Focus people! Don’t be so quick to put down law enforcement. Stupid. TSK TSK Betty I will not resort to calling you stupid, only a complete idiot would do that. 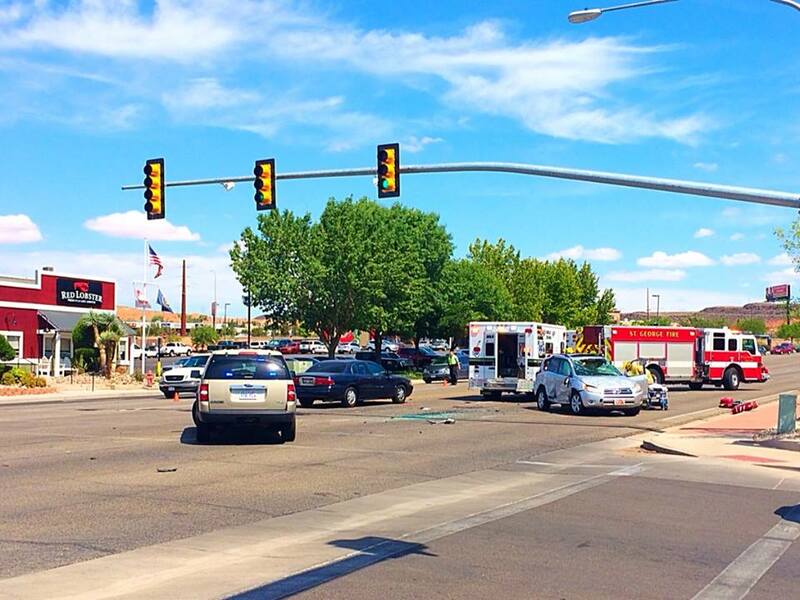 The article clearly states they ran a red light . Maybe you should re-read it. I know if I ran a red light that I would get a ticket. But hey maybe your a cop yourself, or you have not lived here long enough to see. The way cops look the other when it comes to their family and friends. It does not take genius to know if you cause an accident your at fault. They had enough information to give a press release the had enough to issue a citation. @ThatGuy… I did not say you were stupid, I referenced you as an idiot for your assumption’s. The driver of the silver car was transported to the ER so I believe it is safe to say the citation(s) were NOT issued on the spot. Doesn’t mean they won’t be. It is pretty presumptuous for you to assume the driver is married to a police officer simply because a citation wasn’t presented before the ambulance drove away.